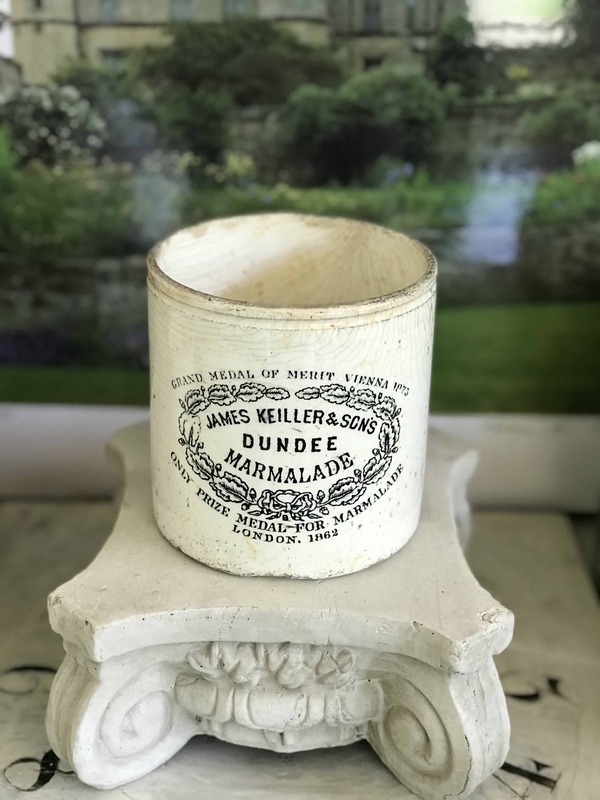 This is a listing for one (1) James Keiller 2# Chubby Marmalade Pot c. 1874. 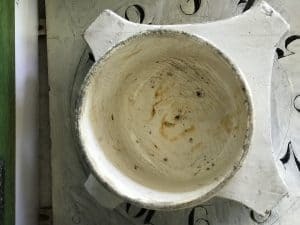 You will receive the actual pot pictured. 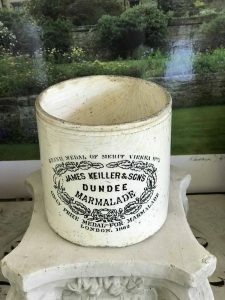 Each of these charming pots were hand made between 1860 and 1920 to store prize winning Marmalade. This particular size is a very rare variety not usually found in the United States, curated from my travels to England’s Famed Antique Markets while visiting my daughter and her family in London. 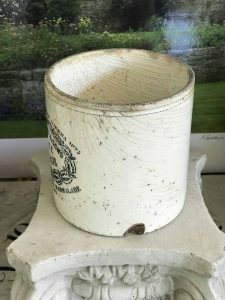 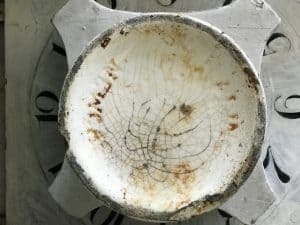 Please refer to the pictures as they are the best description for this rare charming pot.